One secret to creating this kind of workplace is allyship. And it’s something anyone can do! 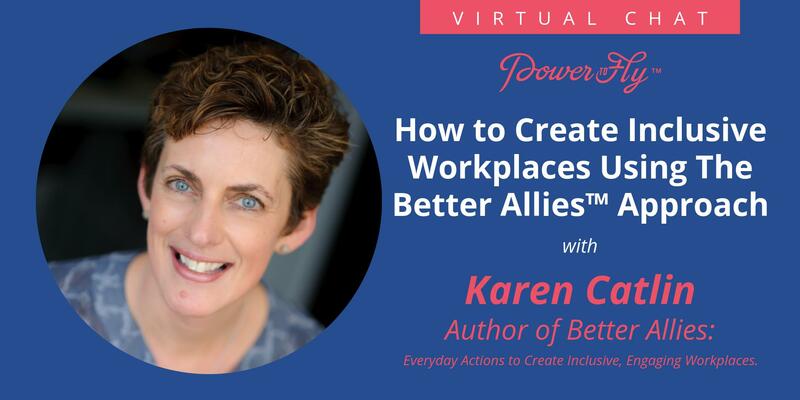 Join Author of Better Allies: Everyday Actions to Create Inclusive, Engaging Workplaces, Karen Catlin for a live Q&A; about how to make your workplace more inclusive! How can I become a better ally to my peers and coworkers? What are your best tips for giving feedback? Where can I incorporate more inclusive language at work to make the largest impact? After spending 25 years building software products and serving as a vice president of engineering at Adobe, Karen Catlin witnessed a sharp decline in the number of women working in tech. Frustrated but galvanized, she knew it was time to switch gears. Today, Karen is a vocal advocate for inclusion, a leadership coach, a keynote speaker, and the author of Better Allies: Everyday Actions to Create Inclusive, Engaging Workplaces.